These are 6 sheets to a package. They are either Canvas orCotton Poplin. Works on any inkjet printer. Fun for the whole family. Easy instructions included. View More In Photo Transfer & Coloring Supplies. 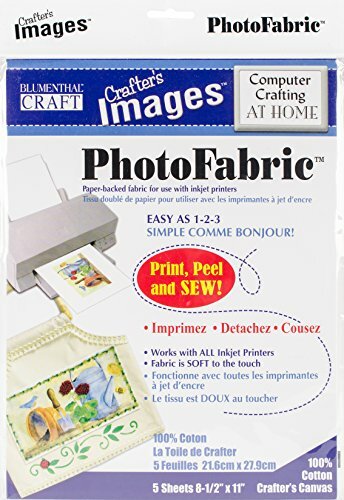 If you have any questions about this product by Crafter's Images, contact us by completing and submitting the form below. If you are looking for a specif part number, please include it with your message. 80 PC - Photo Booth Props Set with (2 Pack) Gold Backdrop Curtains | DIY Kit for Any Party, Birthday, Wedding, Etc.